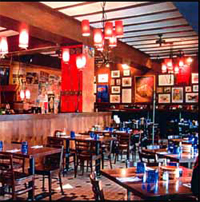 A lovely decor reminiscent of an Old World trattoria paves the way for menu items such as thin-crust pizzas, plenty of pasta dishes, a daily risotto, and a delicious whitefish entree. 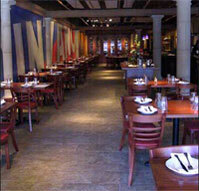 This tapas bar features an eclectic decor and live music on special nights. 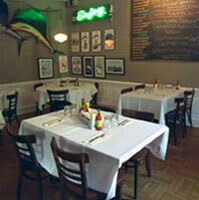 Menu items include roasted mussels, pasta casserole, and seafood in tomato broth. Family owned and operated since 1985, Davis Street Fishmarket in Evanston has been bringing Midwesterners to the shores of the East and West Coasts and firing up taste buds with full throttle flavors of New Orleans. They fly in fresh fish and fresh seafood daily from all three coasts, creating imaginative and authentic seasonal specials daily. 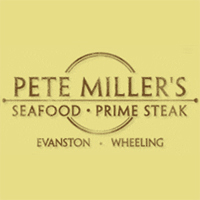 Excellent steak house with a billiards room and a full service bar. Appetizers: shrimp cocktail, calamari, smoked sturgeon, escargot, lobster bisque. Steak Cuts: Kansas City, filet, porterhouse, Pete's Cut. This favorite Chicagoland bar chain manages to capture the neighborhood feel at its many area locations. 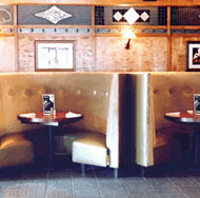 Featured in all locations is great bar food, as well as good beer selection and a martini menu. Barbecue so good it makes you wanna slap your pappy." 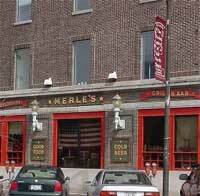 Merle's smokehouse and dry gulch bar has carry out available anytime. Featured items ($9-16) include pulled pork, baby back ribs, brisket, St Louis-style ribs, and a combo platter.